Queen Size Bed: 64"W x 88"D x 54"H - 153lbs. King Size Bed: 81"W x 87"D x 54"H - 179lbs. 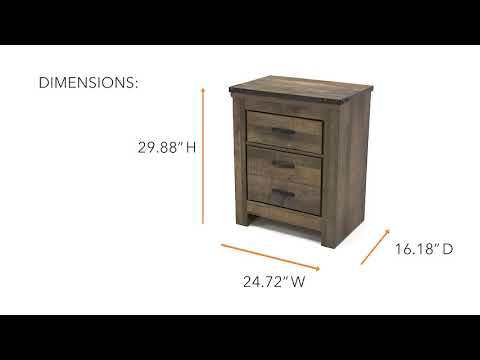 One Drawer Night Stand: 24.72"W x 16.18"D x 26.22"H - 55lbs. 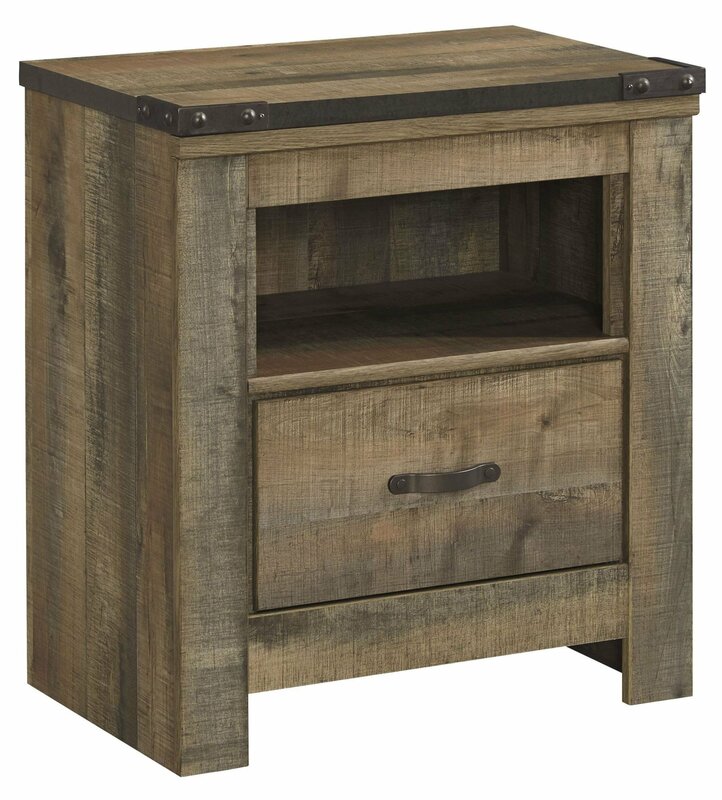 Two Drawer Night Stand: 24.72"W x 16.18"D x 29.88"H - 65lbs. 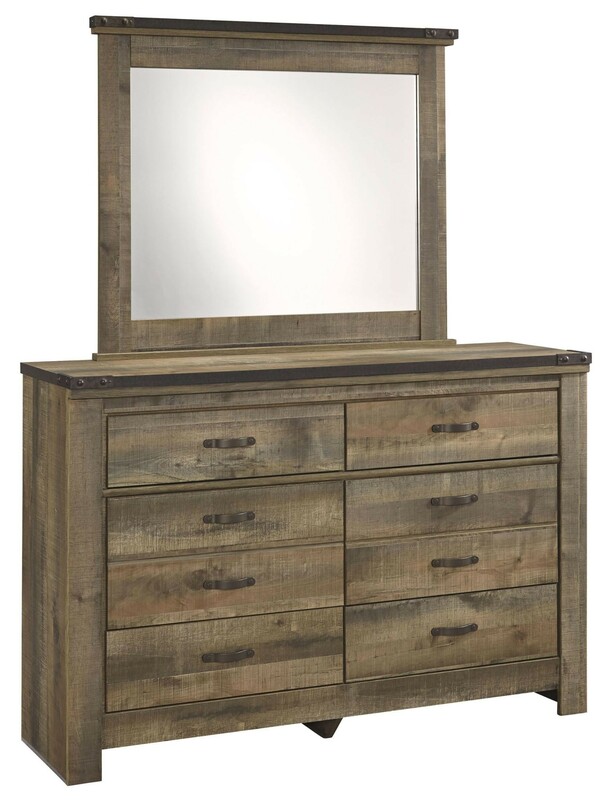 Dresser with Fireplace Option: 63"W x 16"D x 43"H - 203lbs.Bedroom Mirror: 40.08"W x 2.64"D x 37.36"H - 32lbs. 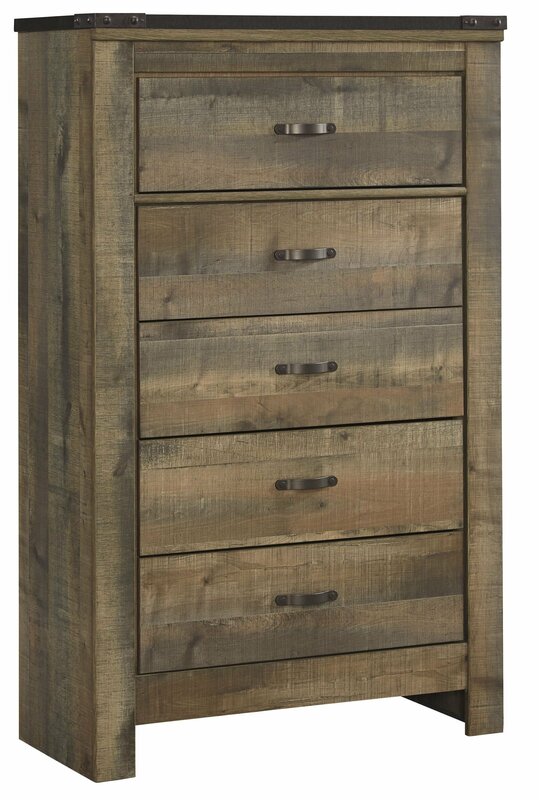 Five Drawer Chest: 34.25"W x 16.18"D x 54.69"H - 129lbs. 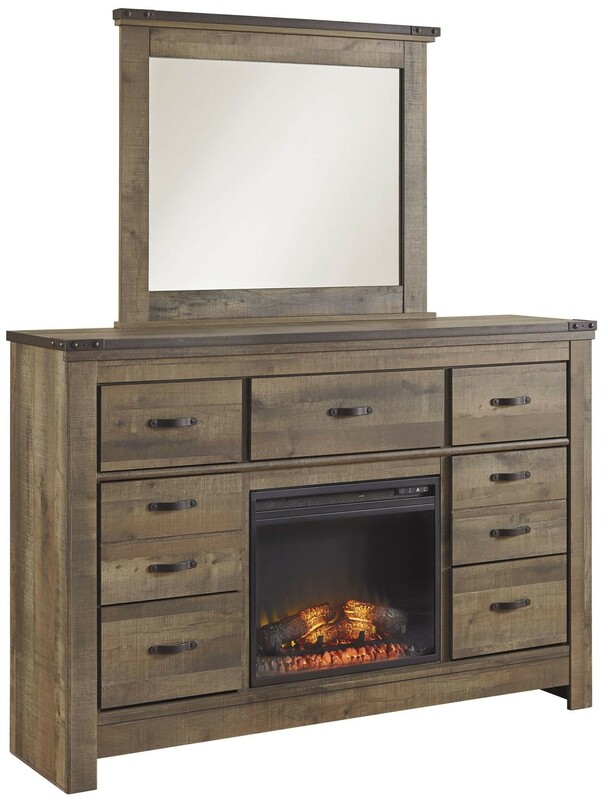 Dresser with Fireplace Option: 63"W x 16"D x 43"H - 203lbs. Fireplace Insert: 23.75"W x 8.5"D x 20.12"H - 33lbs. OK, so I wasn't totally enthused about my wife's insistence to order furniture from 1StopBedroom that we couldn't see ahead of time until it came. That changed everything. The Trinell Bedroom Set arrived in good condition, and I changed my tune when I saw how well made it was. Very nice looking. 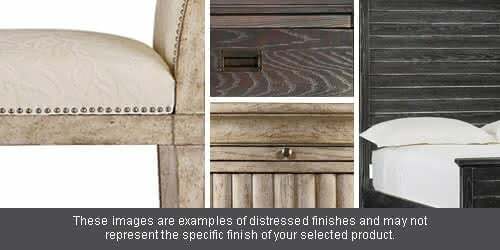 Kudos to Ashley for offering such a well priced and stylish furniture collection. 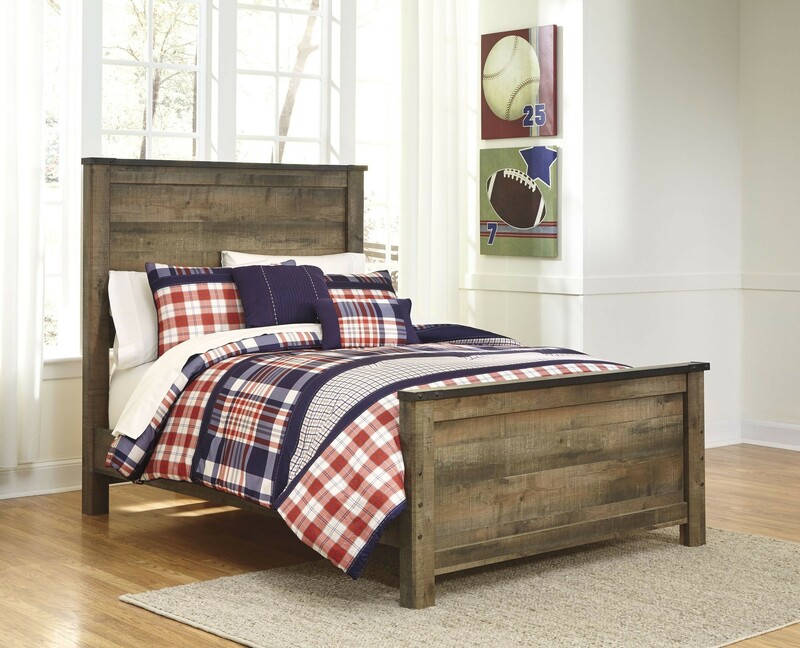 It's hard to beat the look of the Trinell on 1StopBedroom. What you get is a rich-looking, sturdy Bedroom Set that will command lots of compliments. It looks way more expensive, at a fraction of designer store costs. Ordered this last week and it arrived today. I opened it and put it together without much fuss. Put together this Bedroom Set from the Trinell fairly quickly. The finished result is beautiful! 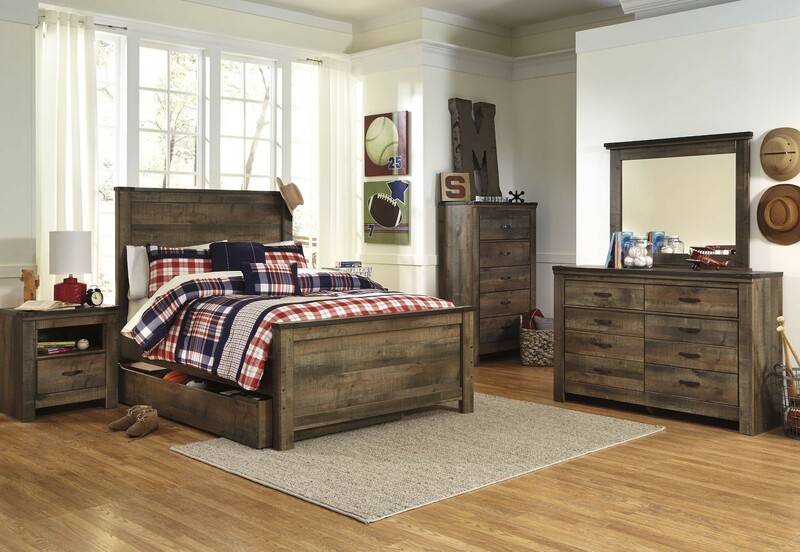 I love the Trinell Bedroom Set. I bought it one year ago from 1StopBedroom. I like the style and quality. The Trinell Bedroom Set WORKS. Everywhere. Anywhere. It just does. End of story. 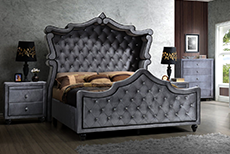 The Bedroom Set from the 1StopBedroom Trinell is perfect. It matches my Bedroom Set. It is a favorite piece. The Trinell Bedroom Set we ordered arrived today, and it's simply perfect. We already have a few items from Ashley and keep coming back for more, they are very well made. Upon reading several positive reviews on the Trinell Bedroom Set from 1StopBedroom I decided to take a chance and make the purchase. I'm glad that I did because all of the positive reviews that I read are accurate. 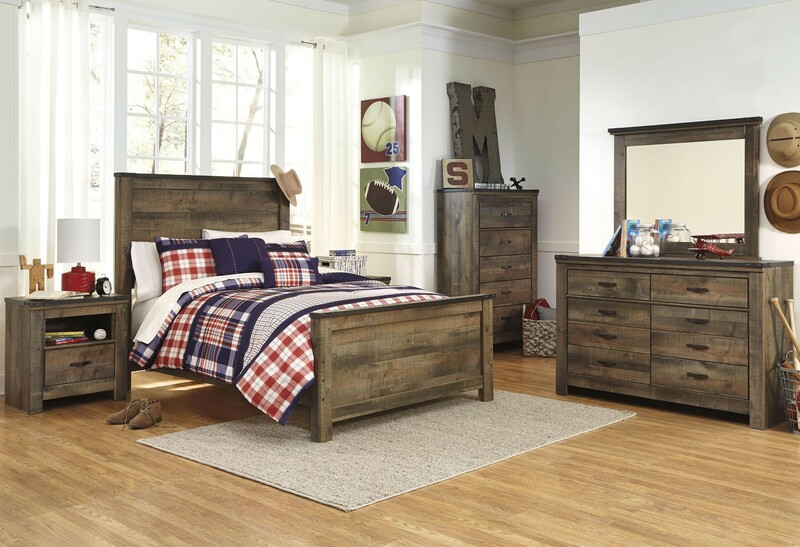 This Trinell Bedroom Set is not only very attractive but it is also very well made. For the price they are charging this might seem someone unbelievable, but please believe the positive reviews they are all true. I bought the Trinell Bedroom Set from 1StopBedroom. I am happy with the quality and style. This is pleasant surprise forme. My wife and were in desperate need of a Bedroom Set. Ours was literally falling apart. We purchased the Trinell from Ashley and recommend them for anyone.